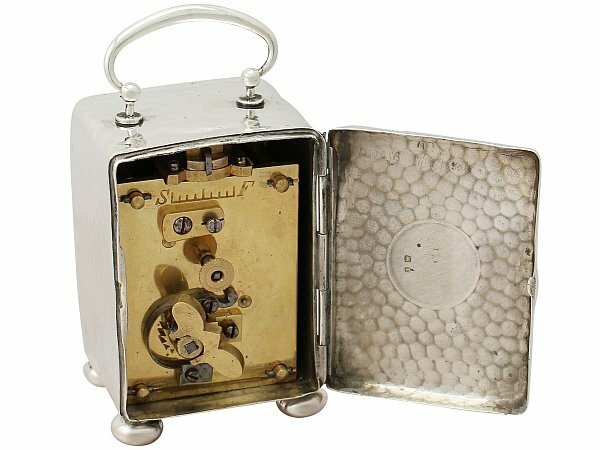 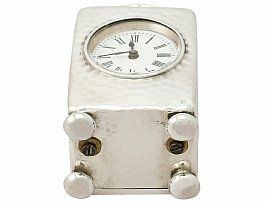 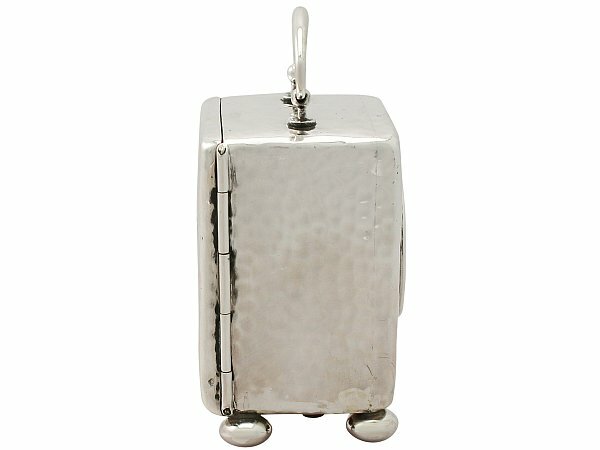 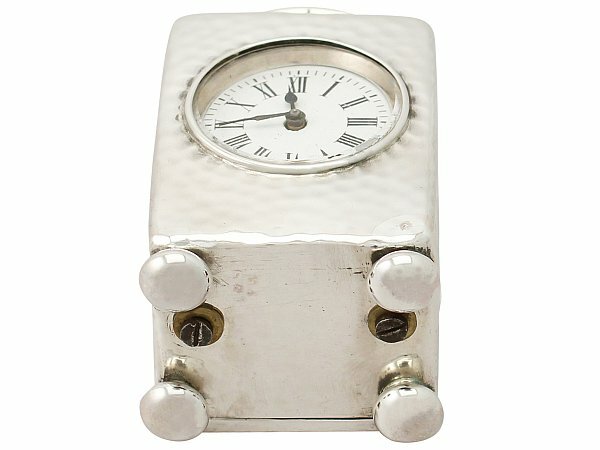 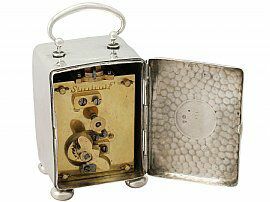 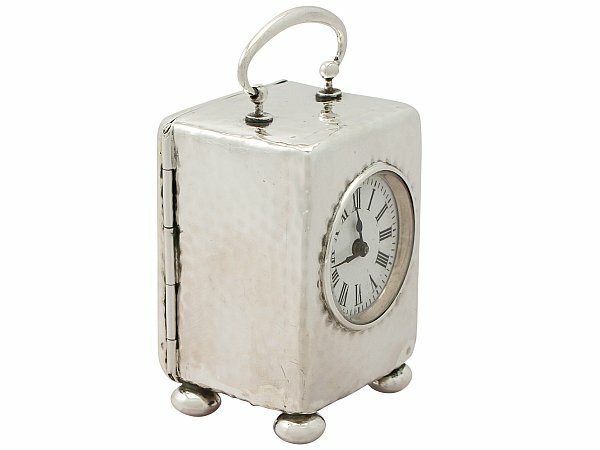 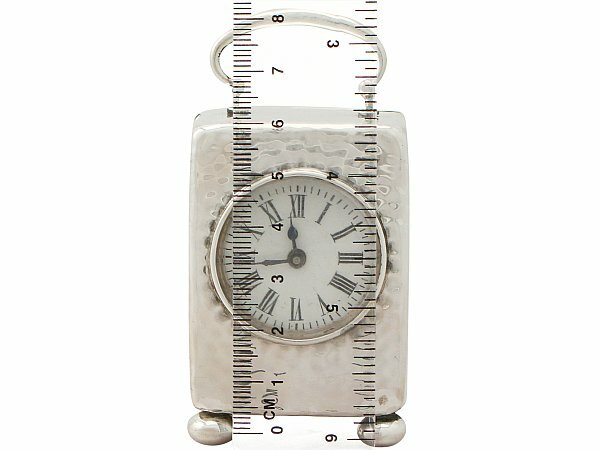 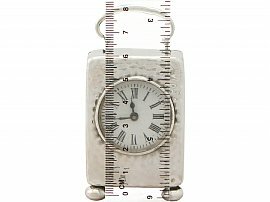 This fine antique Victorian sterling silver boudoir clock has a plain rectangular form onto four bun feet. 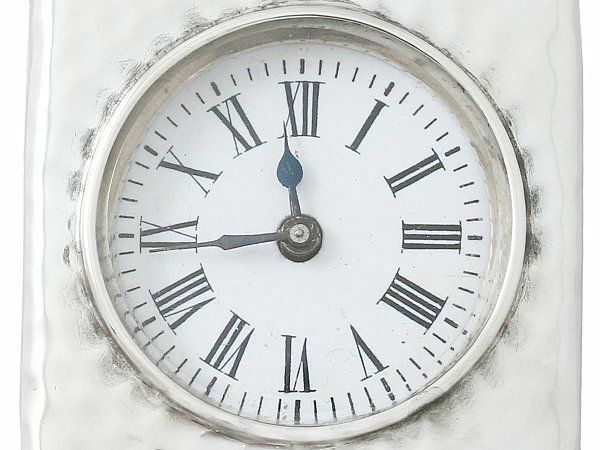 The surface of this impressive antique clock has a planished finish. 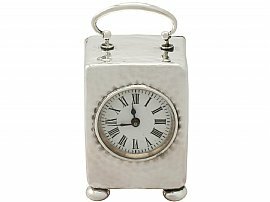 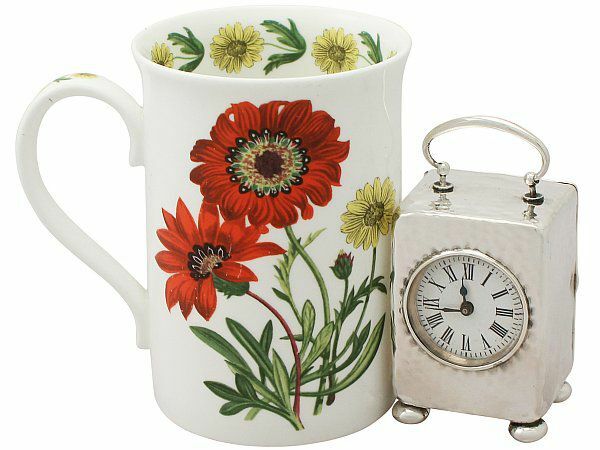 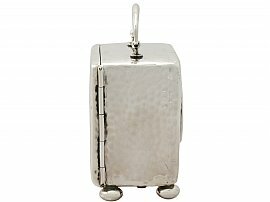 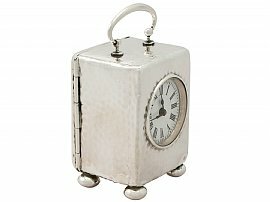 This impressive silver boudoir clock is fitted with a plain rounded carrying handle with ball style terminals. 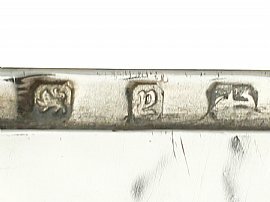 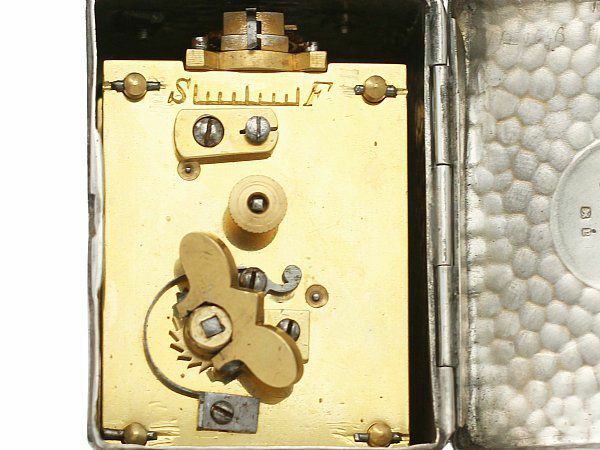 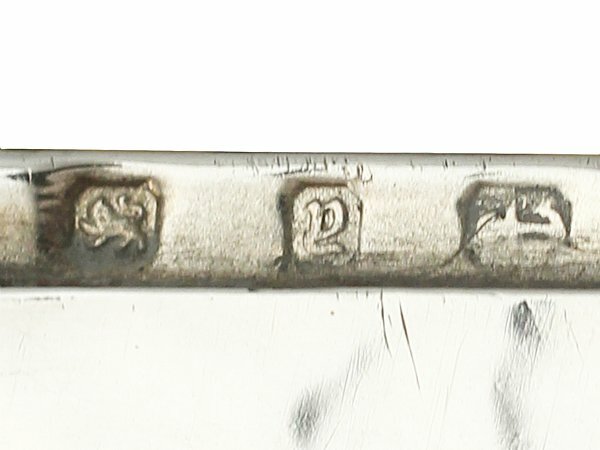 The hallmarked hinged door opens to reveal the original French eight-day movement. 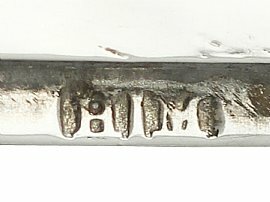 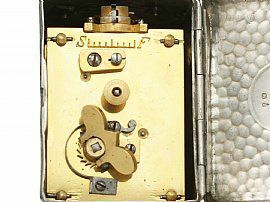 The clock movement is fitted with an incorporated hinged winding key, featuring an a shaped handle with lobed fingerpieces. 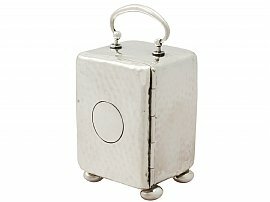 The door has a subtle rounded thumbpiece to facilitate opening. This antique clock is a very good gauge of silver, excellent quality and in excellent presentation condition. Full hallmarks struck to the rim of the clock and part hallmarks to the interior of the door are all very clear. 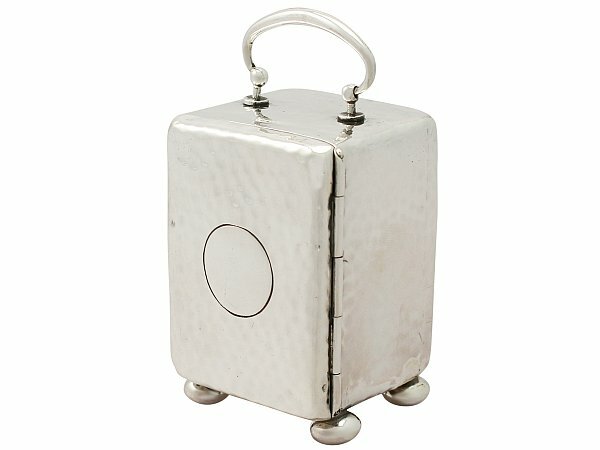 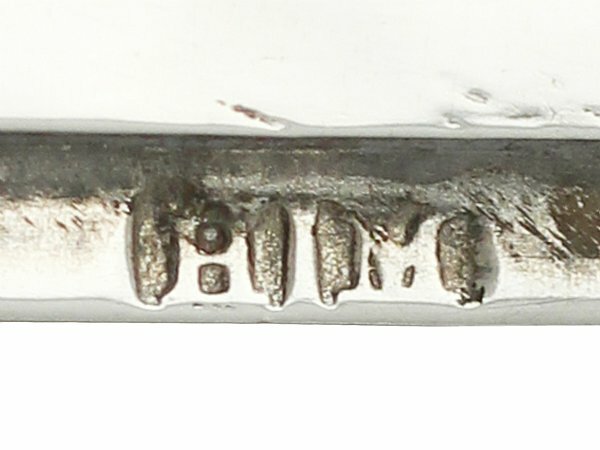 Reflections in photographs may detract from the true representation of this fine example of antique Victorian silverware.